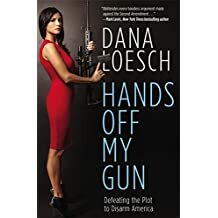 Conservative media celebrity and NRA spokeswoman Dana Loesch, forced to move from her Dallas-area home amid death threats, said she will protect her family if haters come too close and she won’t back off her defense of the Second Amendment. “I’m not going to be intimidated. I’m not going to be silenced,” said the popular host of the Dana Show, face of the NRA and author. Over the weekend, Loesch, the mother of two boys, tweeted images of her surprise decision to move, revealing that she and her kids have been threatened. Groups she described as anti-gun published her address, pictures of her house and her private cellular phone number on social media outlets. She has dealt with threats for years, but said they recently mentioned her kids, prompting the National Rifle Association to send a security team to her house. She is one of the stars of NRATV and the special assistant to NRA’s executive vice president for public communication. Those threats prompted her and her husband, Chris Loesch, a music producer and his wife’s manager, to hastily put their house on the market and ready a move to a new residence. She tweeted photos of the move over the weekend. But she said the threats, which escalated over a year ago and included a Christmas card opened by her son that showed bloodied bodies, were getting too serious and impacting family life. For example, her youngest son has stopped riding his bike in the neighborhood and keeps his bedroom blinds closed. “I don’t want him to have to grow up like that,” said Loesch, also a popular author. She is hopeful that critics won’t publish her new address after the move and continue the threats. “I hope that people can keep their disagreements professional and I hope that strength enough in their own convictions that they don’t have to resort to that kind of nonsense,” said Loesch.